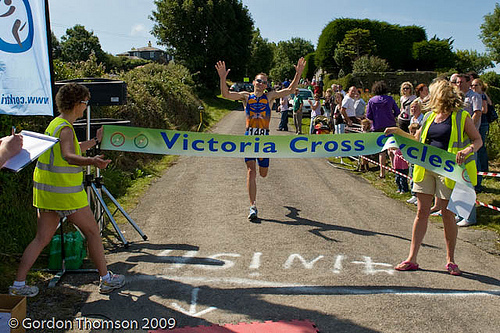 The sun shone brightly for the 10th anniversary of The King of the Hill sprint triathlon in Kinsale this year. With almost 250 lining up for the start it was the biggest field this event had seen. The race went off in two waves, all senior men in the first and women and the remaining men’s field in the second wave 10 minutes later. 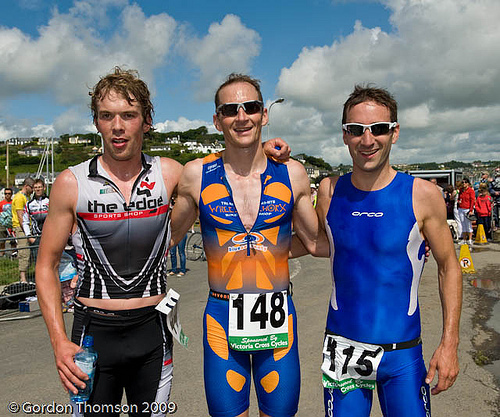 With all the contenders for the men’s title in the first wave it was Owen Cummins who emerged first from the water with almost a minute lead on Cork tri’s Trevor Woods with Shane Scully of Nenagh and Wayne Reid, Athlone Tri in hot pursuit. The bike segment of the race proved to be the deciding factor and saw Mark Nolan of Cork Tri put in the fastest bike split of the day to move up 11 placings into second and Kevin Keane move up to third. These placings didn’t change on the run although the fastest run of the day was turned out by Wayne Reid but it was not enough to put him in the overall top three and Trevor woods was yet again crowned King of the Hill. 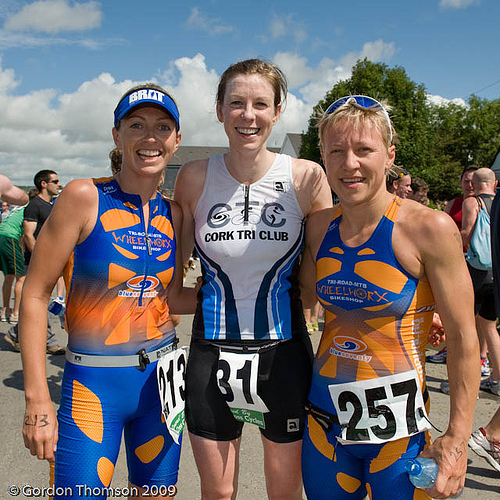 The womens event also promised to be a well fought battle with the National olympic distance champion Elena Maslova competing against among others Cork Tri’s Amy Wolfe. Amy in her first race since her podium placing in the European age group championships put in a strong swim to emerge from the water with over a minutes lead on Limerick tri’s Lynn Algar followed by Elizabeth Lee and Elena Maslova almost 2 minutes down on Amy heading into t1. A powerful bike section by Elena saw her eat into Amy’s lead and move into second place followed by Elizabith Lee, Cork Tri heading out on the run. Elena’s strong run got her within seconds of winning the race but Amy Wolfe held out to take the title, Elena Maslova second and Elizabeth Lee third. Thank you to all involved in organising the race, to our sponsors Victoria cross cycles and Gatorade, the Garda, Red Cross, Water safety crews and marshalls without whom this race could not be staged.